I recently had a woman in my office crying that her husband cheated on her and saying it was her fault. “How could that possibly be your fault?” I ask every time even though the answer is almost always the same and awful, by the way. “He says I’ve gained weight and he no longer finds me attractive.” Now, I am not going to say this never really happens, but I find it suspicious that almost all the women who come in saying this exact thing are usually 1) very pretty and 2) not very overweight, often thinner than I am. So, what happened? Well, he cheated, felt bad, couldn’t face his guilt, and decided to justify his behavior in some way that made it not his fault. He managed to use her own insecurity to make her feel completely to blame for his poor behavior. Pretty clever, huh? 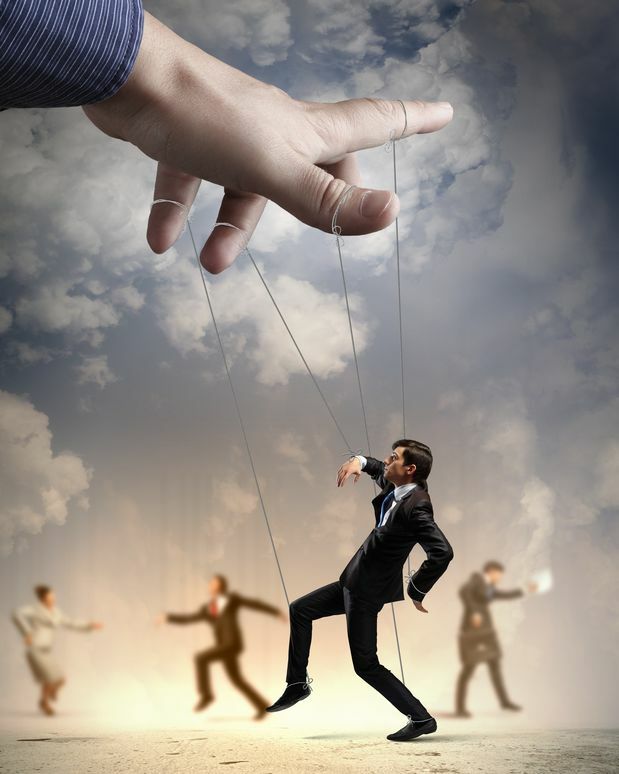 The thing is, WE ALL are manipulated all the time. Typically, by companies trying to sell us something. Isn’t it impressive how Cosmopolitan magazine manages to come into your own home (at your expense, by the way) and make you feel fat. Pretty impressive especially since there is a cure on page 16. Or how the news made us all feel like we are about to get murdered in our beds even though in most of the country crime rates, especially murder rates, are at an all-time LOW. Did that make anyone buy pepper spray or an extra padlock this year, by chance? I did. Part of why this works so well is because everyone (me, too, by the way) has buried unconscious beliefs about unworthiness, lack of value, or ideas about how they should behave or present themselves to the world that people or most especially companies are able to manipulate to get you to do things they want you to do. Like buy stuff or feel bad when you do something or not do something someone else wants you to do. Anyone have a grandmother who could make you feel like total slime if you were too busy to visit her when she wanted you to? This was my mother-in-law. I always said she could inflict guilt from a thousand miles away. The truth is, you are a wonderful person worthy of all the best things in life. You can say “no” to things you don’t want to do including favors and requests for your time without feeling guilty. You are not required to feel bad when someone else in your world is having a bad day. And you are allowed to eat the last cookie on the plate even if you have already had three. It’s alright. If anyone or anything has managed to make you feel otherwise it’s because there is something inside of you that they are triggering that needs to be healed. And it can be healed. Hypnotherapy is my tool of choice, but other forms of therapy and meditation can also work. It starts with becoming aware of when it’s happening and that is not always easy. Start today by noticing when you are not feeling good in someone’s presence or when you are feeling manipulated by someone or something. That may not fix it automatically but it’s a good start. Love yourself enough to “just say no” to things that are not what you want. It leaves space for the things you do want. You deserve the best, now go out and get it.